MGS Technical Plastics says it is investing in the future with the appointment of three new apprentices. Neil Garrity, Manufacturing Director says that training young adults is not only essential for the UK to continue its manufacturing excellence, but that MGS’s apprenticeship programme has paid for itself ten times over. 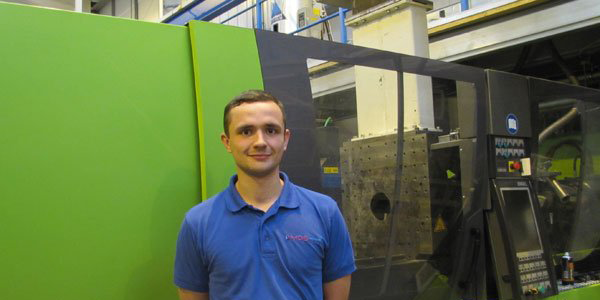 The three apprentices at the Blackburn-based injection moulding specialist include, Steven Hyde, toolroom trainee, Dillon Tennant, electrician apprentice and Michael Critchley, trainee technician. Hyde and Tennant will be get hands-on experience at MGS as well as studying for Level 3 Diplomas in Advanced Manufacturing Engineering with the College of West Anglia, which offers specialist injection moulding machine related courses, in partnership with Training 2000. L-R, Paul Duerden from Training 2000, and MGS Technical Plastics’ apprentices, Steven Hyde and Dillon Tennant. Critchley will soon begin onsite training with Solution 4 Polymers in partnership with College of West Anglia. As the company aims to reach £10million annual turnover, the new trio takes the number of apprentices trained by MGS to six in the last five years. Following a multimillion relocation to its current headquarters in the last decade, the firm has invested an additional £2million on property, machinery, staff and training. Garrity says that a lack of companies offering apprenticeships over the last two decades has left the UK short on skilled workers, which could eventually hurt the country’s position as a world-leader in the field.